A drawstring backpack made from high quality calico material. Re-usable over and over again! 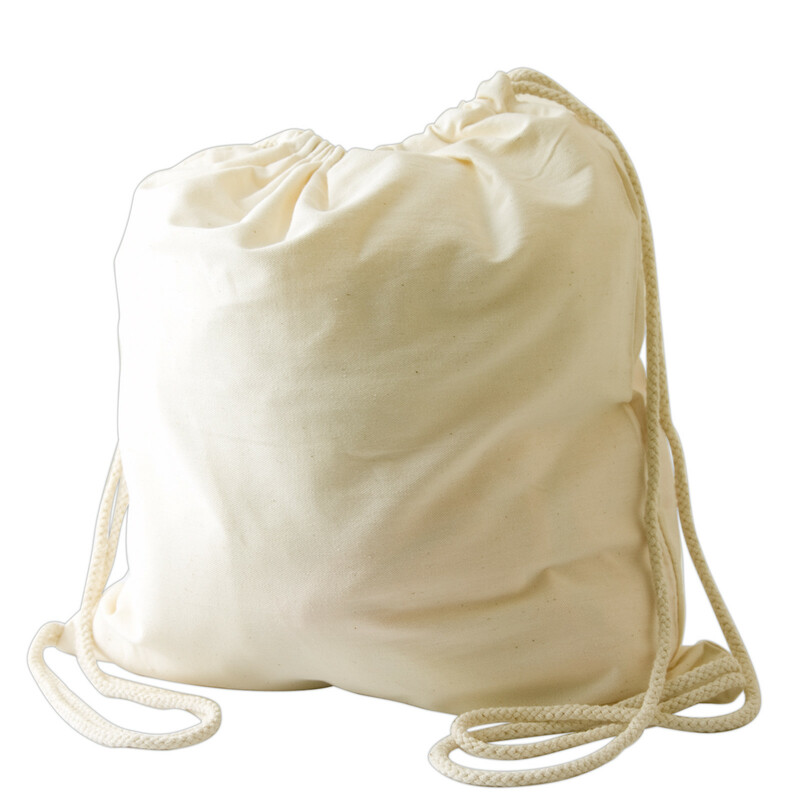 An environmentally friendly calico drawstring bag that's perfect for carrying library books, notebooks and more. 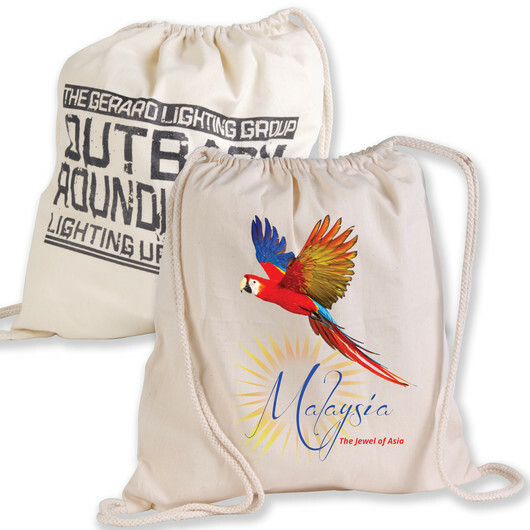 These are the ideal product to getting your company seen in an environmentally conscious light. They can be re-used over and over again and offer an excellent branding space to easily get your logo noticed.